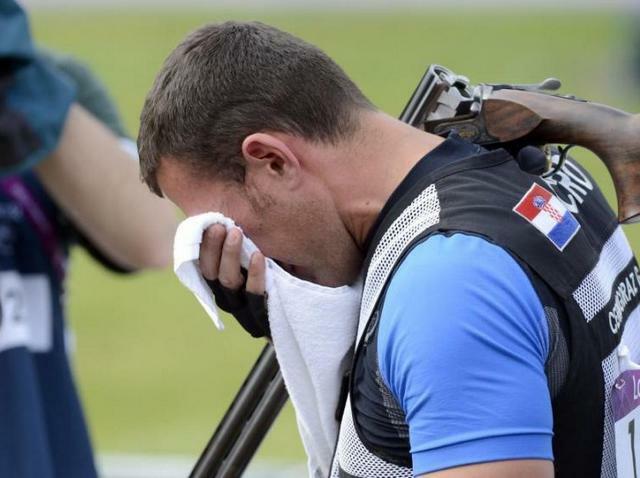 LONDON — Just reaching the shoot-off of the men's trap final was enough to make him cry. Giovanni Cernogoraz of Croatia, however, realized there was still work to be done. He collected himself and beat world champion Massimo Fabbrizi of Italy in a tense conclusion to shooting at the Olympics. "I was crying because I realized that at least a silver medal was 100 percent for me," Cernogoraz said. 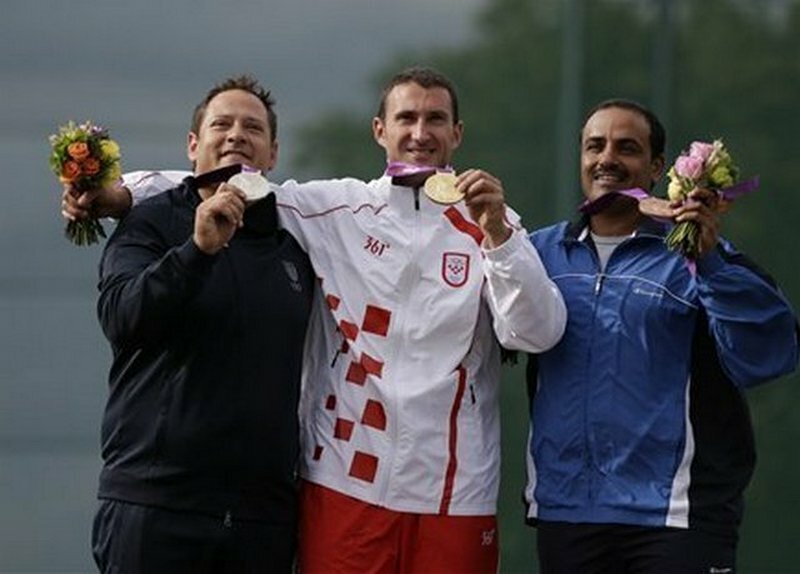 After Fabbrizi missed his sixth target in the sudden-death round, Cernogoraz produced yet another clean hit to take the first shooting gold medal for Croatia. "This gold medal is fantastic," said Cernogoraz, who in his daily life helps out in his family's restaurant in Novigrad. "This is very good for me, for my family and for the country. I did not expect to win. I was just hoping to make it to the final." Even if he could not match Italy's Niccolo Campriani, who won the 50-meter three-positions rifle earlier in the day, Fabbrizi still left the shooting range with a broad smile. "I am very satisfied," he said. "I worked for four years for this. This was my chance and I took it." 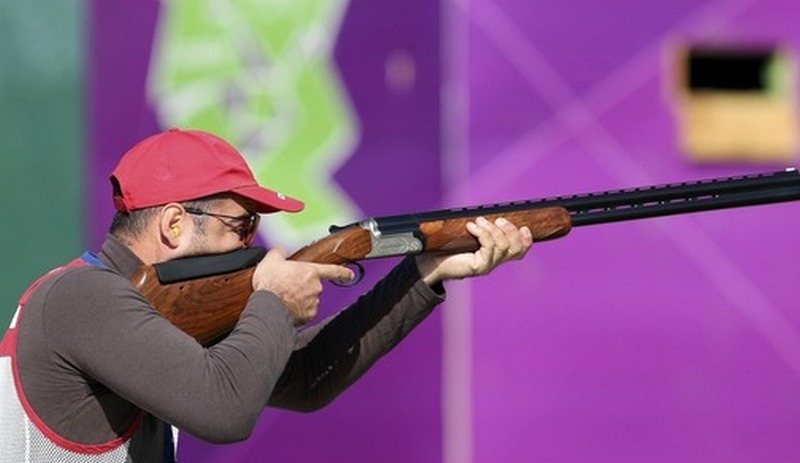 In another shoot-off, Fehaid Aldeehani of Kuwait won bronze by defeating Michael Diamond of Australia, who broke the Olympic record in qualification earlier Monday. Diamond shot a perfect 125, breaking the Olympic record he shared with Alexey Alipov of Russia by one point. A flawless qualification round had been shot eight times before in other competitions. Diamond, twice an Olympic champion and competing in his sixth Olympics, achieved the feat for the first time. He pumped his right fist in celebration after hitting the final target. "I didn't even know it was an Olympic record," Diamond said. He went into the final with the maximum 125 points, but it would not prove enough for a medal. In the 25-shot final, Diamond first missed at his fourth attempt, and later even missed two straight targets. "I am very disappointed," said Diamond, who won the Olympic trap title in 1996 and 2000. "I was competing for gold or silver and it's a blow I didn't get it." He said he started shooting quicker than he usually does. "My heart rate was really high," he said. "It's all about patience, reflexes and eye sight." 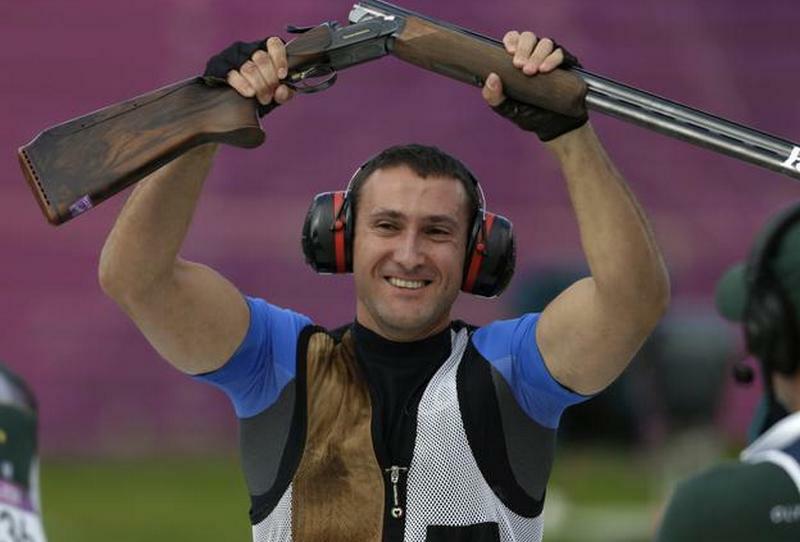 Defending Olympic champion David Kostelecky of the Czech Republic and top-ranked Alipov, who won the trap title in Athens in 2004, failed to make the final. South Korea led the shooting medals standings with three golds and two silvers, followed by the United States with three golds and one bronze.